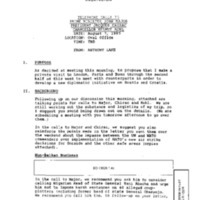 This Mandatory Declassification Review contains material on memcons, telcons, and related correspondence concerning British Prime Minister John Major. 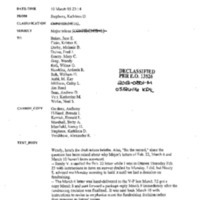 Materials include 1995 memcons and telcons between the President and Major, as well as briefing documents related to those conversations, which primarily focus on Bosnia and Northern Ireland. Telcons from the President's conversations with German Chancellor Helmut Kohl and French President Jacques Chirac are also included.